About Us – In-Fill Housing, Inc.
In-Fill Housing, Inc. (In-Fill) is a non-profit housing developer created by the Macon Housing Authority to help meet the great need for affordable housing. 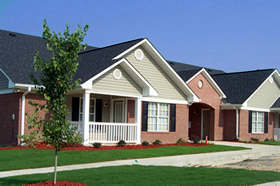 In-Fill has developed properties throughout Macon and other locations in Georgia to provide beautiful, affordable housing for low and moderate-income families. Since 2001, eighteen properties and more than 1,300 units of affordable multi-family housing have been or are being developed by In-Fill. These include six seniors-only properties, nine family properties and two properties with a focus on special needs families requiring supportive services. In nearly all of these ventures, In-Fill has found a strong and valuable partner in the Georgia Department of Community Affairs (DCA), the statewide housing agency that allocates both the federal and Georgia Low Income Housing Tax Credits (LIHTC) and private activity bonds among myriad other partners. In addition to the various awards from DCA, our Brentwood Place development was awarded “Outstanding Development of the Year” in 2014 by CAHEC, the federal credits Limited Partner. 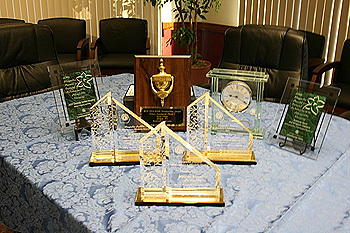 In 2016, Readers’ Choice Awards awarded Greystone Apartments (co-development with Tapestry Development Group) “Best Preservation Project” and “Best Overall Project” as this historic 71-unit property was rehabilitated to continue as an icon of downtown Rome Georgia. Since the beginning, In-Fill formed working partnerships with the Georgia cities of Macon, Fort Valley, Gordon, Forsyth, Blackshear, and Rome. These partnerships also include HUD, the Macon-Bibb Land Bank Authority, Magita Enterprises, L&JG Development, River Edge Behavioral Health Center, and Disabilities Connections, Inc. as well many other builders, realtors, and lenders from both Macon and outside of the Middle Georgia area. Our partnerships have enabled us to build and/or rehab high-quality housing for both homebuyers and renters. Felton Homes, is a 100-unit Rental Assistance Demonstration (RAD) development located on Felton Avenue only several blocks south of Mercer University. Built in 1941, in 2010 Felton Homes underwent what is called a “gut rehab” with a special focus on energy and water saving improvements. All units have Section 8 project-based assistance.